Prof. Kam-hon Lee is Emeritus Professor of Marketing at The Chinese University of Hong Kong (CUHK). He served as Assistant Lecturer (1969-1975), Lecturer (1975-1981), Senior Lecturer (1981-1986), Reader (1987-1992), Professor of Marketing (1992-2011), Research Professor of Marketing (2011-2012) and Emeritus Professor of Marketing (2011-present) at CUHK. He became an Honorary Fellow of CUHK in 2013. His research areas include business negotiation, cross-cultural marketing, marketing ethics, social marketing and tourism marketing. He obtained his Bachelor of Commerce in 1967 and Master of Commerce in 1969 at CUHK and his Ph.D. in Marketing in 1975 at Northwestern University in Evanston, Illinois, USA. Professor Lee has published in Journal of Marketing, Journal of International Business Studies, Journal of International Marketing, Journal of Management, Journal of Business Ethics, Cornell HRA Quarterly and other refereed journals. He also serves on the editorial boards of various international and regional journals, including Cornell Hospitality Quarterly and Journal of Hospitality and Tourism Research. 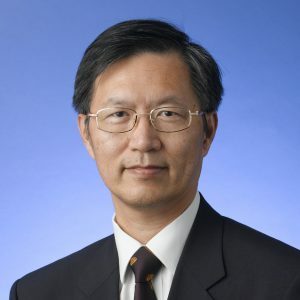 Prof. Lee has taught in executive programmes or rendered consulting services to different institutions including the World Bank, Hang Seng Bank, Giordano, K-Wah, Ryoden, Coca-Cola (China), Procter & Gamble (Guangzhou), Du Pont Asia Pacific Ltd., Dentsu Advertising Agency and Chinese Arts & Crafts (H.K.). Beginning in 1999, Professor Lee has actively taught, organised executive education programmes and/or conducted research projects for different hospitality organisations, including Hong Kong Travel Industry Council, Kuoni Travel Hong Kong Ltd. and Hyatt International. Prof. Lee has provided administrative leadership at different levels at CUHK. Major positions include MBA Director (1987-1993), Dean of Business Administration (1993-1999), Director, Centre for Hospitality and Real Estate Research (1999-2012), and Director, School of Hotel and Tourism Management (2001-2012). Prof. Lee has served at Hong Kong SAR Government as a member of the Tourism Strategy Group (2000-2008), a member of Advisory Committee on Travel Agents (2008-2010), an independent director of the Hong Kong Travel Industry Council (2006-2012), a member of the Aviation Development Advisory Committee (2011-2013), and at United Nations World Tourism Organization a member of the World Committee on Tourism Ethics (2012-2013). Prof. Lee has also assisted the Friends of Hong Kong Association, Ltd., to prepare a Report on Development of Tourism Industry, released in 2016. Prof. Lee is a founding member and a director of the Youth Development and Training Limited (2018-Present). Kam-hon Lee (2018), “Birth of a Christian Salesman: Reflection on Academic Faith Integration in an Asian Context.” In Christian Mind in the Emerging World, Faith Integration in Asian Contexts and Global Perspectives, edited by Peter Tze Ming Ng, Wing Tai Leung and Vaughan King Tong Mak, U.K.: Cambridge Scholars Publishing, pp. 315-337. Kam-hon Lee and Cass Shum (2016), “Cultural Aspects of Marketing.” In Marketing Theory, edited by Michael Baker and Michael Saren, 3rd ed., London: Sage, pp. 180-196. Kam-hon Lee, Dennis P. McCann, and MaryAnn Ching (2013), “Christian Witness in the Marketplace in Hong Kong,” Ching Feng, 12(1-2), 91-117. Kam-hon Lee, Dennis P. McCann, and MaryAnn Ching (2012), Christ and Business Culture, Hong Kong: Centre for the Study of Religion and Chinese Society, Chung Chi College, The Chinese University of Hong Kong. Kam-hon Lee (2008), “Shaping the Industry, Embracing Value Creation,” The Voice of TIC: A Quarterly Publication of the Travel Industry Council of Hong Kong, 3-10. Ying Ho and Kam-hon Lee (2007), “China Marketing.” In Handbook of Research on Asian Business, edited by Henry Wai-chung Yeung, 1st ed., Cheltenham, UK: Edward Elgar, pp. 182-207. Kam-hon Lee, Guang Yang, and John L. Graham (2006), “Tension And Trust in International Business Negotiation: American Executives Negotiating with Chinese Executives,” Journal of International Business Studies, 37(5), 623-641. Kam-hon Lee, Gong-ming Qian, Julie Hung-hsua Yu, and Ying Ho (2005), “Trading Favors for Marketing Advantage: Evidence from Hong Kong, China, and the United States,” Journal of International Marketing, 13(1), Spring, 1-35. Kam-hon Lee, Dennis P. McCann, and MaryAnn Ching (2003), “Christ and Business Culture: A Study of Christian Executives in Hong Kong,” Journal of Business Ethics, 43, 103-110. Richard P. Bagozzi, Kam-hon Lee, and M. Frances Van Loo (2001), “Decisions to Donate Bone Marrow: The Role of Attitudes and Subjective Norms Across Cultures,” Psychology and Health, 16, 29-56. Kin-nam Lau, Kam-hon Lee, Howard Pong-yuen Lam, and Ying Ho (2001), “Web-site Marketing for the Travel-and-Tourism Industry,” Cornell Hotel and Restaurant Administration Quarterly, 42(6), 55-62.